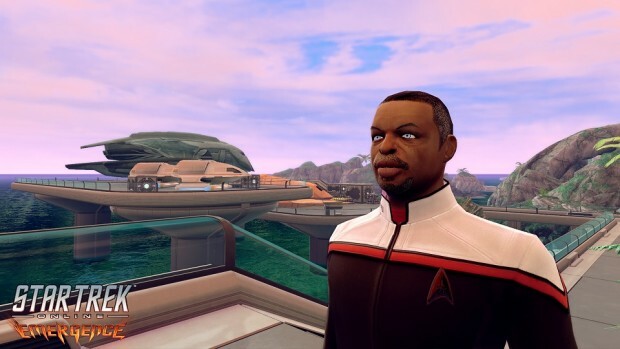 Geordi La Forge is coming to Star Trek Online! We know, you’ve heard that about 83 times already, but this time it’s for consoles. So, new press release! The newest season of STO content, Emergence, is now available for players on the Xbox One and PlayStation 4. It kicks off with the featured episode “Melting Pot,” which features Captain La Forge, voiced by LeVar Burton. It also comes with a bunch of other improvements and content, including the Miracle Worker specialization, Colony Fleet Holding Invasion Scenario, and Dranuur Beach Assault and Gauntlet modes. For more on this release, check out the Star Trek Online website.